PIMs may cause drug-drug interactions, which can lead to treatment-related toxicities and consequently affect outcomes. “The outcomes for older patients with aggressive NHL are suboptimal, especially for patients who are frail or have pre-existing comorbidities. It’s not really well-understood whether this is biologic, due to functional status of the patient, or something else,” Catherine M. Diefenbach, MD, assistant professor of medicine and clinical director of lymphoma at the New York University Perlmutter Cancer Center in New York, told Cancer Therapy Advisor. PIMs are medications that should be avoided among elderly patients because they carry a greater likelihood of causing an adverse reaction.2 In some cases, PIMs should be used at a reduced dose or with careful monitoring among patients with conditions such as impaired kidney function or dementia. The Beers Criteria is a list of PIMs that is now regularly updated by the AGS, with the last update in 2015. Examples that patients are strongly recommended to avoid include some anticholinergic agents, antispasmodics, antidepressants, barbiturates, benzodiazepines, proton-pump inhibitors, muscle relaxants, and non-cyclooxygenase-selective nonsteroidal anti-inflammatory drugs. Poor health outcomes, such as falls and mortality, have been associated with PIMs. PIMs are used extensively among elderly patients. 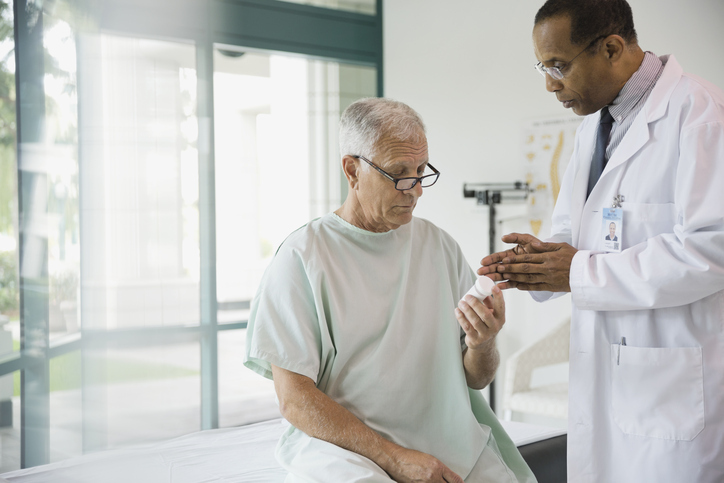 “Particularly for the elderly oncology patients, they often have many subspecialty physicians who are prescribing medications but not necessarily talking among themselves, so it becomes quite challenging to manage the polypharmacy that occurs,” Dr Diefenbach said. She noted that patients are often unaware that they are taking PIMs.